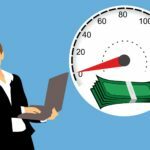 Home > Latest > How to Run LinkedIn Ads? If you are searching for consultants and guides for running LinkedIn ads, you must have a thought to run a campaign either for your own brand or any client’s business who is desperately hunting for B2B leads either for service industry or for product industry. And Yes, why not? LinkedIn Ads are known to reach to exact target audience with the targeting factors such as Job position, job title, company page followers & employees, job experience, industry, interests, etc. This enables an advertiser to pop their brand on exact screen of the decisive maker persons in any organization. 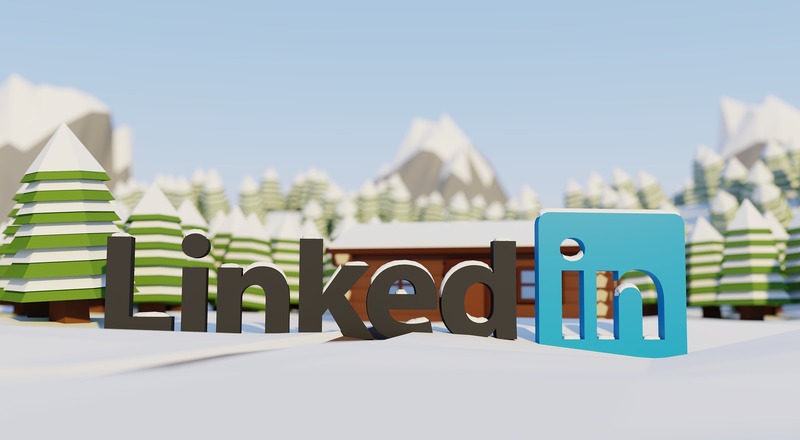 LinkedIn is a platform which triggers the opportunity to directly enhance reach of your brand to key persons in organization like CEO, MD, Founder, Owner & likewise authorities. But be informed, that the targeting must be very niche & effective to have desired ROI of the campaign & for the same here I will help you with guided steps of how to create a image campaign in LinkedIn and how to structure the targeting? 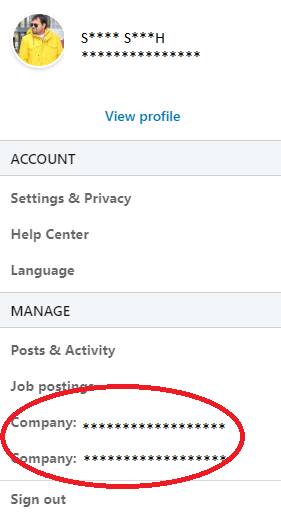 Step 1- Sign in to your LinkedIn account & click on drop-down arrow just beside section named as Me with your profile pic as icon (on top right corner of the menu navigation section). Once you click on the dropdown button, you can see your brand page name as Company. Once you land on this page, you will have your all existing ad accounts, if any else you are ready now to create a new ad account. For the same click on Add Account button at top right corner. Step 3:- Once you click on Add Account button, a new pop up window will appear where you require to fill your brand details. 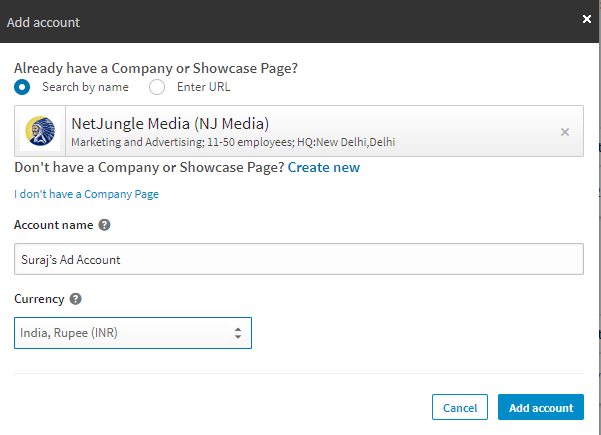 It will ask to enter your brand page by company name & in next step give a name to your ad account. In third section you need to choose your currency for billing & other ad transactions. Step 4:- Once you fill all the details, click on Add Account button as confirmation for submission. On clicking this button you will land to next page wherein you will have to choose the ad type depending on your ad requirement & its goal. Primarily these are categorized in three formats as Sponsored Content, Text Ads, and Sponsored InMail. Here I am selecting Text Ads. Step 5:- Post clicking the select button of text ads, you will land on the page wherein you will have to fill your campaign details like campaign name, campaign name, group target audience language. After filling these detail, click on next button for further structuring. Step 6:- In this step, you have option to guide your visitors to either landing page or your LinkedIn Page, depending on your campaign goal. Next section, you have to create ad copy. Remember and try to be as creative as you can. 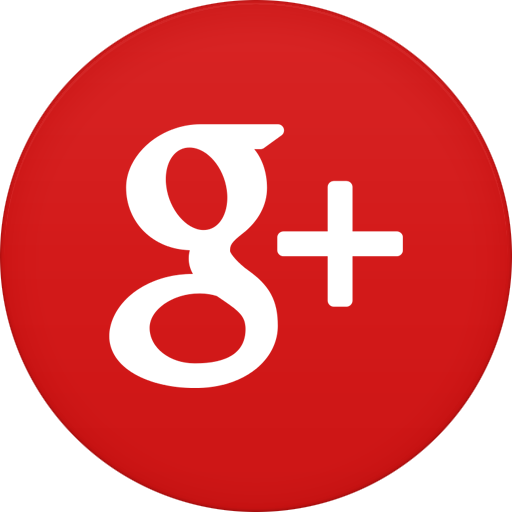 This is known to be one of the greatest asset which your audience will see as first impression. Never miss the character limit associated for ad copy. Don’t forget to upload one of the brand image by clicking the pencil icon just beside the text ad copy box. Once you filled all the details, click on Save button. 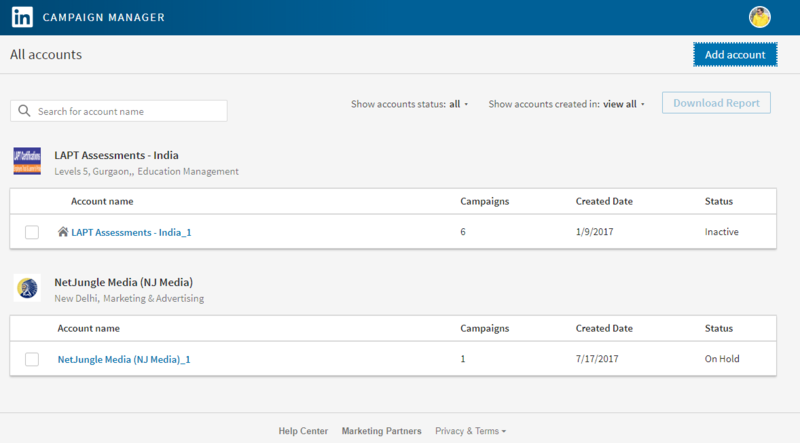 Step 7:- On next screen, you will be able to see your just created ad and similarly you will have one last chance in case you want to create more ad copies for your campaign. Step 8:- Clicking on next button will take you to screen wherein you will set up your target audience. 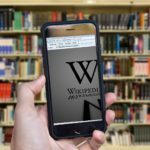 You can start with entering geo location followed by the available criteria like Company Name, Industry, Followers, Job Position, Job Title, Experience and likewise. Try to enter as much as you can you narrow & specify your ad reach which will optimize your campaign for maximum ROI. 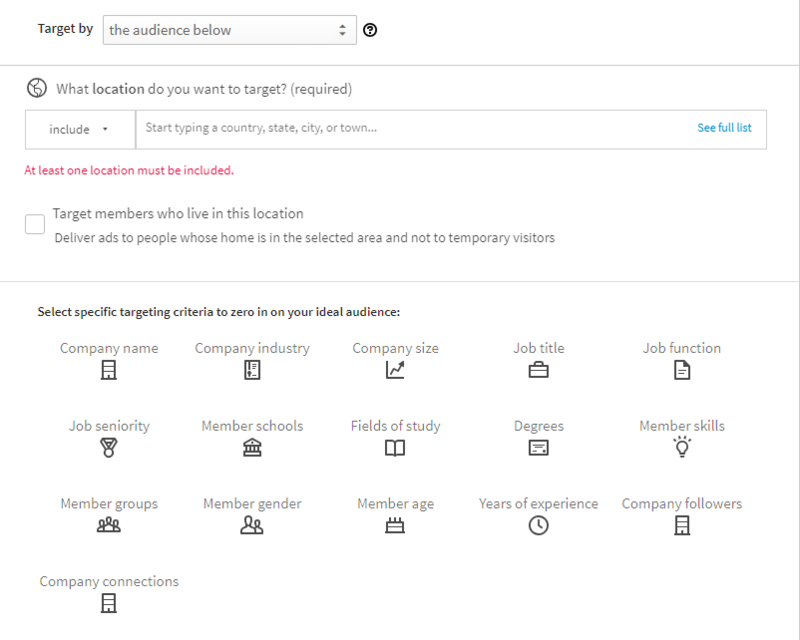 Step 9:- Once you have filled the audience targeting criteria, click on Next Button at right bottom. In next step you will land on the page where you will get tag & installation guide to track the campaign performance & it’s highly recommended as advertiser. Also, you can select the bid type for your campaign, total budget and daily budget. Click on Next, and here you are ready to launch your campaign in a click. 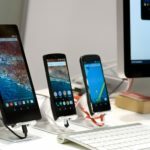 It’s the final step as validation of your campaign. It will be under approval for couple of hours, which generally takes 24 hours. Hope it was easy guide to you for LinkedIn Advertising Campaign. Happy Advertising!